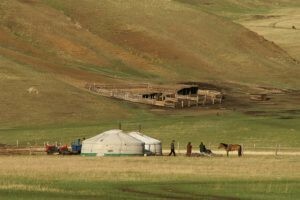 To become an organization that shaped Mongolia in a positive way. PCC is a Mongolian NGO established in 2006, which aims to promote the protection of natural resources through support to the activities of local residents and civil society, with a strong commitment to addressing issues for gender equality and vulnerable groups. People, at PCC, we value people, we believe on people’s power. Everyone is important and everyone deserves to exercise his/her rights. Planet, at PCC, we respect and conserve the environment. Independence, at PCC, we strive to be an organization that is independent and self -contained. PCC approach in organizational management and as well as in the work is participatory. We are practitioners of participatory approaches and building local capacity bottom to top. - Board, N.Lkhamdulam, Chairwomen of the organization, Core-founder and 1st Executive Director. Lkhamdulam Natsagdorj is a consultant for development projects in Mongolia. She holds MBA degree from University of Hyderabad, India. She has been working with communities over a decade including women, men, herders, and forest user groups, vulnerable and marginalized people in Mongolia for their livelihood improvement, conservation and empowerment. She is a practitioner and a firm believer of participatory approaches as most of her on-the-job trainings were on Participatory Rural Appraisal, Inclusive decision making, Gender sensitivity and Public participation. She is a core founder of People Centered Conservation Mongolia -NGO deals with development issues in Mongolia and led the organization in its early development stage successfully. She has led several socio-economic baseline studies regarding environment and development some of which are Project Participatory Analysis of Local Stakeholders, Links between Livelihoods and Land Degradation/Sustainable Land Management with Socio-economic Baseline Study – UNDP. Recently, she has been working on the implementation of Volunteer Guidelines on the Responsible Governance of Tenure of Land, Fisheries and Forests in the context of national food security and has been contributing for their implementation in Mongolia including translation of facilitating multistakeholder platform, advocacy strategy development and translation of training materials. - B.Erdenechimeg, 2nd Executive Director, supports organizations for strategic development. - Y.Narangerel, 3rd Executive Director, runs the management of the organization. Narangerel Yansanjav, Executive Director of People Centered Conservation – national NGO since 2011. And she works as Consultant on design, implementation and evaluation of projects in Rural Development, Natural Resource/Pasture Management, and Conservation since 2006. Field Researcher with focus on Community Based Conservation, Pastoral Livelihoods, Grasslands Management and Local Governance since 2005. She is Skilled Facilitator/Moderator and Trainer in Participatory Research and Approaches with Communities including men and women and Local Governments in rural Mongolia since 2006. Highlights have included working as an international expert/facilitator for FAO, UN-Rome, on adaptation of the series of materials for the gender and general learning programs and played lead facilitator role during the training on Voluntary guideline for responsible governance of land tenure through Jan to Sep 2015. She has worked as Research team leader to Study at Khurkh Khuiten Ramsar site, WCS, in 2012 with the objective of gain insights into the concerns of the local communities that customary use the area and its resources, namely nomadic livestock herders who use the areas as summer pasture. Narangerel Yansanjav has earned Master of Arts (2008/10) at the Graduate school of Media and Governance, Human Security and Sustainable Development Program, Keio University, Japan. Attended in advanced Facilitators’ Training from Tread LLC, Philippines and certificate obtained, in 2007. Supporting member WAMIP (World Alliance of Mobile Indigenous Peoples). Co-author of several publication and research materials such as Participatory Forest Management, Training Curriculum for Protected Area Rangers and Land Officers, published with support of FAO in Mongolia, 2011 and Training Manual on PRA, 2010, “Community Organization in the Gobi – Experiences in local Governance, Community based Poverty Reduction, Natural Resource Management and Conservation etc. 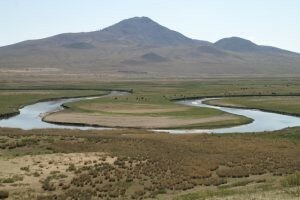 PCC has partnered with organizations in Mongolia to implement a series of projects on community organization empowerment, support building robust communities while ensuring participation of all members in decision making process, governance of natural resources through innovative approaches including landscape level planning approaches and collaborative management, community conservation initiatives, and community based natural resource management.